I have been meaning to write an article on cap and trade in the United States but it can be hard for people to understand and without other major polluting countries having similar programs, the whole thing seemed somewhat pointless. There is somewhat of a standoff going on between all the countries in the world over this cap and trade emissions idea. Most notably is the US and China as we account for 40% of the world’s carbon emissions. So what happens if we cap our emissions and China does not? First we should look at what China wants because this is a hard thing to pin down. It seems clear that the people in charge in China do not put the same value on human life or quality of life. It follows that they could really care less about the environment or it’s inhabitants and wouldn’t pursue alternative energy on the grounds it poisons the planet. China does want to be THE new superpower in the world and if they are clever they will have figured out that long term growth will inevitably require alternative energy infrastructure. China already has some alternative energy initiatives in place. So until peak oil declines and coal reserves run out, China won’t actually cap emissions because it is a short term economic restriction. They will invest in alternative energy but like everyone else they will use fossil fuels to the bottom of the barrel. Of course we might be told that they have capped emissions but like most regulations in China, they will go unenforced. 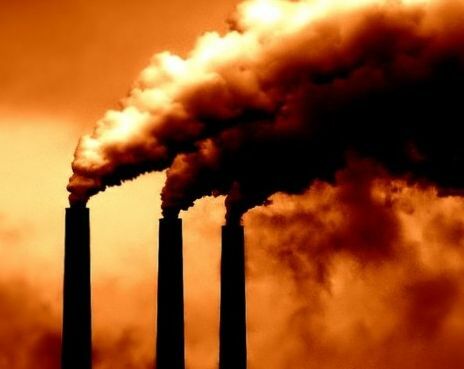 Emissions trading (or emission trading) is an administrative approach used to control pollution by providing economic incentives for achieving reductions in the emissions of pollutants. It is sometimes called cap and trade. A central authority (usually a government or international body) sets a limit or cap on the amount of a pollutant that can be emitted. Companies or other groups are issued emission permits and are required to hold an equivalent number of allowances (or credits) which represent the right to emit a specific amount. The total amount of allowances and credits cannot exceed the cap, limiting total emissions to that level. Companies that need to increase their emission allowance must buy credits from those who pollute less. The transfer of allowances is referred to as a trade. In effect, the buyer is paying a charge for polluting, while the seller is being rewarded for having reduced emissions by more than was needed. Thus, in theory, those that can easily reduce emissions most cheaply will do so, achieving the pollution reduction at the lowest possible cost to society. TeamLDCO (6:46:36 PM): do you have a post about cap and trade anywhere in your blog? TeamLDCO (6:49:23 PM): are you for or against it? TeamLDCO (6:51:16 PM): then why do conservatives say its a failure if it’s working?